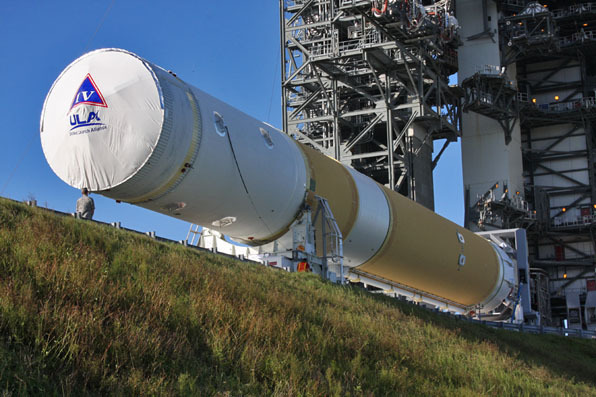 CAPE CANAVERAL — The Delta 4 rocket that will launch the U.S. military’s highest capacity communications satellite ever built was rolled to the pad this week. The two-stage booster moved from the Horizontal Integration Facility to the Complex 37B pad and erected on the launch table to begin preparations for flight. 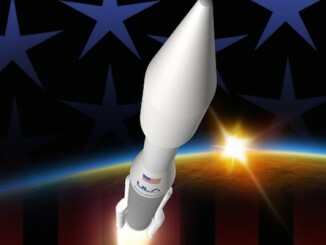 Liftoff is scheduled on or about Dec. 7 during a window of 6:53 to 7:42 p.m. EST (2353-0042 GMT), a duration of 49 minutes. Over the next two months, using the classic launch pad design with a mobile service gantry, the rocket will undergo installation of four strap-on solid-fuel boosters, a rigorous checkout and testing campaign and mating of the satellite cargo. The launcher will deliver the Wibdeband Global SATCOM satellite No. 8 into a supersynchronous transfer orbit for the U.S. Air Force. 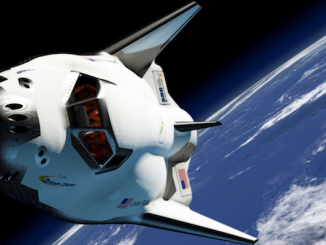 WGS 8 will join seven previous sister-craft, all built by The Boeing Co., in geosynchronous orbit 22,300 miles above the planet that provide communications used by soldiers, ships, aircraft and drones. But starting with the $426 million WGS 8 satellite, Boeing has included a significant upgrade to boost the spacecraft’s capacity even further. “WGS 8 includes an enhanced channelizer that provides a 90 percent improvement in satellite-available bandwidth compared previous WGS satellites,” said Col. Timothy Sejba, the MILSATCOM Systems Directorate’s deputy director at the Space and Missile Systems Center at Los Angeles Air Force Base. 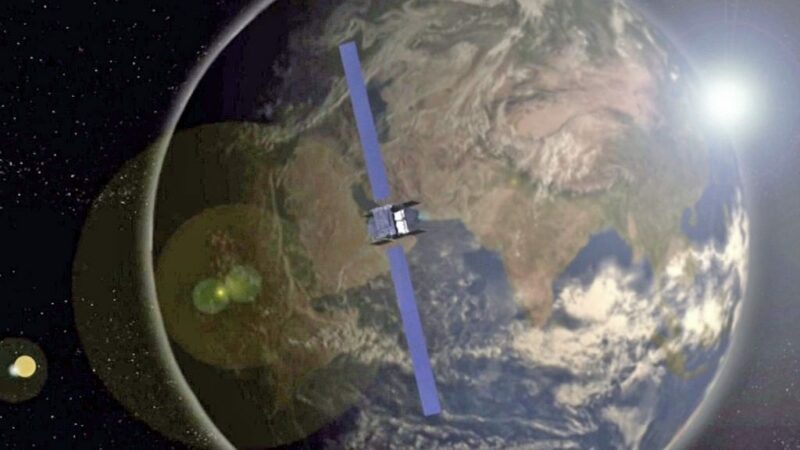 The improvement is created by Boeing’s new Wideband Digital Channelizer, a feature that will be included in the final three satellites in the series. The channelizer is the heart of the satellite’s communications package. WGS uses the Boeing 702HP satellite design, which includes a xenon-ion propulsion system, highly efficient triple-junction gallium arsenide solar cells and deployable radiators with flexible heat pipes. The WGS satellites serve as the backbone of the DOD communications infrastructure, suppling data to the battlefield, relaying video from unmanned aerial reconnaissance drones, routing voice calls and data messaging, and even offering quality-of-life considerations like television broadcasts and email delivery to the troops. Worldwide coverage is provided by the WGS spacecraft constellation. Each craft provides shaped, steerable spotbeams of bandwidth wherever requested across its field-of-view for X- and Ka-band frequencies, plus the onboard capability to switch signals from one band to the other. X-band communications allow data, photos and video to be relayed to troops and Ka-band enables high-volume broadcasting to user terminals across the reception area. The exact location in the geosynchronous belt for WGS 8 has not been revealed. 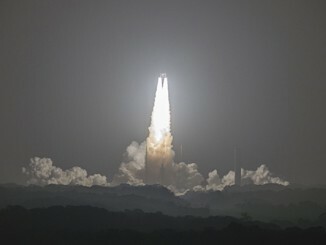 The satellite’s mission will further bolster the overall system’s capacity. “WGS 8 is the continued expansion of the WGS constellation,” Sejba said. WGS also supports several allied nations — Australia, Canada, Denmark, the Netherlands, Luxembourg and New Zealand. The countries have contributed to buying two of the satellites in the series in exchange for access to the constellation. WGS 8 arrived in Florida from the Boeing factory in El Segundo, California, on Oct. 12 aboard an Air Force C-17 transport aircraft. It was the first national security satellite to land at the Space Coast Regional Airport in Titusville. The Delta 4 vehicle launching WGS 8 will fly in the powerful Medium+(5,4) configuration with a five-meter upper stage and payload fairing and the four solids. ULA rockets have deployed the entire WGS constellation, with the final two craft scheduled in the next two years aboard Delta. It will be the 376th Delta rocket launch since 1960, the 34th Delta 4 rocket since debuting in 2002 and the sixth time a Delta has launched a WGS communications satellite. In other Cape Canaveral launch news, officials have tentatively set Nov. 16 as the new target date for the Atlas 5 rocket to deploy the GOES-R weather satellite. The two-hour launch window will open at 4:42 p.m. EST (2142 GMT).